Kroger continues to leverage its industry-leading analytic prowess to gain valuable shopper insight and personalize the experience for millions of consumers. Thanks in part to the insight the grocer gleams from wholly owned 84.51°, Kroger has substantially grown its digital business. In fact, in Q1 2017 the mega-grocer enjoyed a 30% increase in new digital customers and more than a 30% increase in digital visits. “Our digital revenue more than doubled in the first quarter compared to last year,” said Michael Schlotman, EVP and CFO, Kroger on a recent earnings call with analysts. While digital revenue continue to increase, gross margin is down and operating costs were up for Q1 2017. The grocer is making deliberate and targeted investments in the user experience and is willing to accept these minor short-term financial setbacks. One key area where Kroger is investing heavily is the personalized offers and tailored pricing it is able to offer its loyal shoppers through My Magazine. My Magazine is a marketing vehicle that delivers personalized content like recipes to consumers based on their shopping behavior and interests. In Q1 alone Kroger delivered more than six million unique My Magazine offers. “This allows us to offer personalized lower prices to our loyal households in addition to the low prices everyone can see,” said Rodney McMullen, chairman and CEO, Kroger. “This is an example of how we leverage 84.51°’s expertise. My Magazine is just one example of Kroger’s Customer 1st strategy. The strategic initiative is an enterprise-wide mandate to provide shoppers with the goods and services they desire to continue to grow market share in the increasingly competitive grocer space. Kroger continues to invest in its analytic capabilities with the goal of substantial long-term growth. 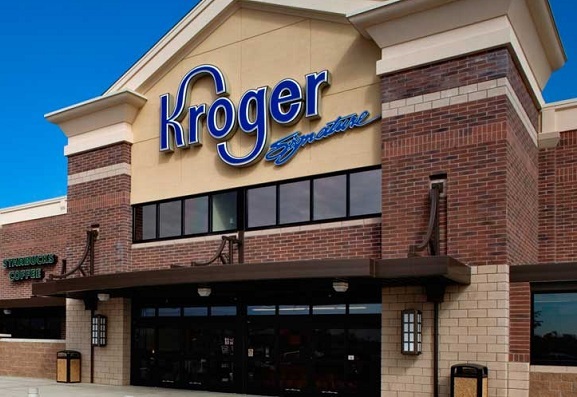 It is willing to endure minor financial hiccups in the short term to ensure Kroger remains on top of the grocer heap.